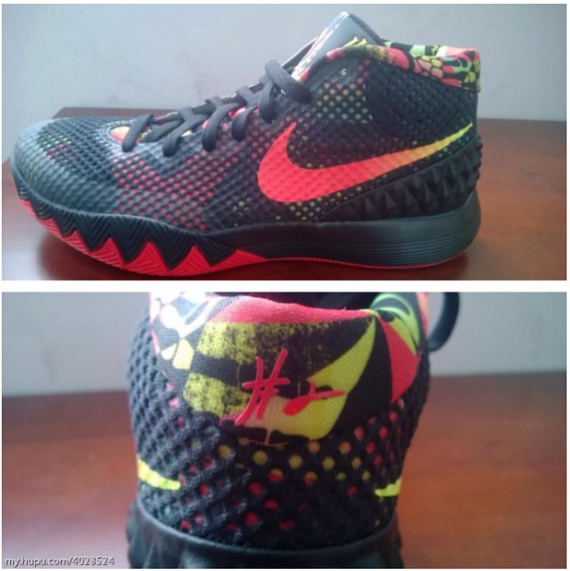 Here is a nice look the first Kyrie Irving signature model dubbed the Nike Irving 1. Starting off with what caught my eye immediately, the traction. Utilizing full length herringbone that contorts in the forefoot to be somewhat multi-directional and even wraps up on the lateral forefoot, the traction is no game, just straight performance. The upper looks like a very intense Hyperfuse that is pretty simple, but the heel uses a geometric design that offers a unique look. The Irving 1 gets its aesthetic pop from the inner lining and tongue which uses a unique pattern in this particular colorway. Overall the Irving 1 is basic on paper, but the aesthetics are anything but. Im not quite sold on the look of the Irving 1 just yet, but value and performance wise the Irving 1 looks solid. For a retail price of $115 USD, the Irving 1 looks to jump in your already busy on court rotation this January. What do you guys think about the Irving 1? Let us know in the comments section below. What kind of cushion does it feature? I’m thinking full length zoom like the hyperrev. At least hoping that’s what it is. This colorway is so weird and making the fuse upper extremely ugly.. If its full length zoom (which i pray for), its a robocop for me. They look like they’ll suit my needs on court. Yeah man I hope so too!! I think they look great IMO. And that traction looks straight beastly! Reminds me of the crusaders.. looking like a neoprene sleeve with fuse shell. Traction looks really dope tho.. I like it. Not this colorway but I think these could be solid. If the cushioning is ok, then I can see myself playing in these. Nike is putting too much tech just in sake of putting in tech in other signatures, and the elite models suffer because of it. I like this design, straight to the point. Good traction, simple upper. And I LOVE the old school tongue and collar! Exactly how i feel. The last decent slip n go = Hyperrev, then before that, the kd v and hyperfuse 2010. Yea, I loved the KD V. No BS, just lace it up and go, no gimmicks. I hope Nike would make an Anthony Davis signature shoes. No disrespect to Irving and to his fans but IMO he’s the only current Nike Basketball athlete who deserves to have one (Besides Lebron, Kobe and KD). I hope Nike would make an Anthony Davis signature shoes. No disrespect to Irving and to his fans but IMO Anthony Davis is the only current Nike Basketball athlete who deserves to have one (Besides Lebron, Kobe and KD). Shaq would be the exception. kinda like a midtop kd trey 5s ish.. Such a weird looking design, but simple silhouette. The upper looks durable and the traction is beast. No where on the shoe tells what type of cushion it has… maybe this is a sample model? 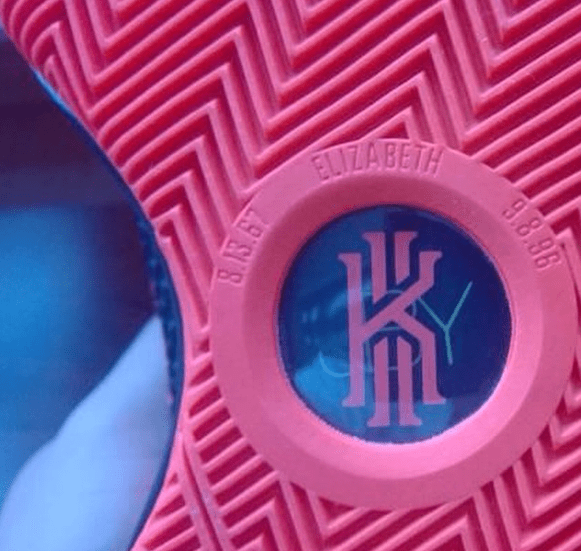 They should call it Nike Kyrie or Nike K.I. instead of Nike Irving 1… does this mean Nike has already created or has in its plans for his 2nd shoe? It looks promising, but nothing really extraordinary. Have you ever thought about some kind of shoe-kit (something like Project Ara)? For example, you really like Lunarlon and Lebron XII design. You have an opportunity to combine these in your own shoe. It will feature a lunarlon cushioning with XII’s upper. Or vice versa, you go with new XII”s outsole and get Hyperdunk’s upper. Think about the potential this techonology can have! Everybode can get what they need. But these are just some thoughts, don’t hate. I like the idea. Actually I love it! The pricetag would be 350$ though. The thing is you can actually replace old parts with new ones or just replace them if needed. Some type of system should be created, where “the boot” aka the upper can be connected to the midsole with some type of locking system. Price IS gonna be high, for sure, but you will be able to replace parts. You won’t need to buy different shoes ofr indoor/outdoor use, just swap the soles. You want to get more courtfeel-just swap the soles. And so on. And all brands should make these parts, not the particular one. These remind me a lot of the kobe 4, from the shape of the shoe especially. hopefullz the cushion will be a mix of lunarlon and zoom air. I thought they kind of looked like the Kobe 1, especially in the collar area. I like the distinct lack of Hype/placebo/Gimmick WIRE. I hate friendship bracelet lacing systems. A really ugly version of the zoom kobe 1. Like it looks like the only effort that went into it was the traction. The materials are horrible no flynit or EM. They should have just called theses hyper fuse 2015 and moved on. Kyrie was too upset he didn’t have a signautre shoe, he said he’d go to Adidas, if LeFlop doesn’t call Nike CEO and convince them to make a signature shoe for his new teammate, Mr. Hyperdunks ain’t good anymore for me. Hoping that this and the rumored Paul George sigs will be lower/mid tier models, kinda like what Adidas is doing with the J Wall and the Dame sigs. Asking for a sig below $100 is wishful thinking, but $115-ish sounds about right. I mean just look at it. It’s a Hyperfuse with more padding. It sort of reminds me of a mix between the kobe 1’s, 3’s, lebron 6 and hyper dunks! I unno, i’m really these! Traction looks solid, everything else about it looks straight trash tho. Stealing design cues from the Brandblack J crossovers tho.. I love foam cushion so plz no zoom.. That traction with lunarlon cushion would be nice..
Not gonna lie. They look nice and the price is right with either lunar or full length zoom. I like how the inner bootie pattern shows through the fuse. It looks like something that would have come out in the 90s. Hey everyone, don’t hate. Commentate. Price, good. Design, ehn. Traction, on point. Reminds me of a Kobe Prelude 1. Any idea of what other tech besides hyperfuse will be on this shoe? Man, don’t know what to make of these. I want to like it but it just looks so weird. 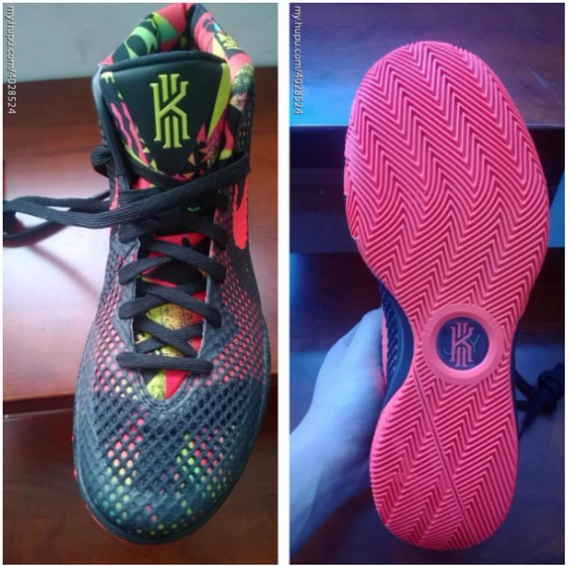 I love kyrie, but this shoe….